Which of the following Bowman baseball card sets from the 1950s do you feel is the most underrated? Sidney Crosby has become a superstar in a league of star players during the past decade or so. Every generation looks to a new name to carry the torch from the previous period. After Wayne Gretzky and Mario Lemieux, there have been a slew of stars to make their mark in the NHL, but have any risen to their level? Some say it’s Crosby. 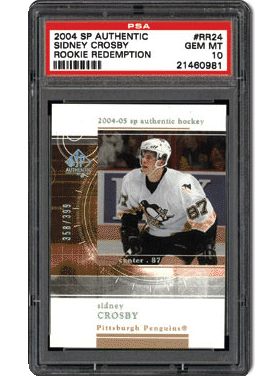 In the following piece, we take a look at some of Crosby’s most desirable cards. 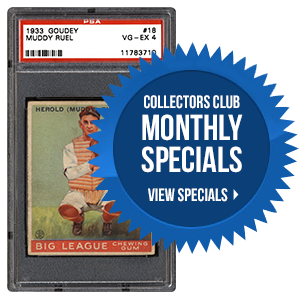 Collecting the 1948 Leaf Pirate Trading Card Set – For Those Seeking Cardboard "Treasure"
The 1948 Leaf Pirate set is one that stands out amongst many classic non-sports issues of the era. 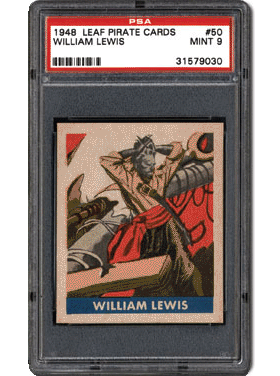 Like its baseball, boxing, and football siblings, the Pirate issue contains a similar, bright appearance that is sure to catch the eye of collectors. Led by the most desirable card in the set, #58 Blackbeard, this release offers terrific visuals along with some historical information. In the article to follow, we talk to the collectors who pursue this cardboard treasure. The 1954 Bowman baseball set has what appears to be all the ingredients for a top-notch set. It is visually appealing. It contains some terrific stars, including Mickey Mantle, a name that was absent in the Topps issue from the same year. 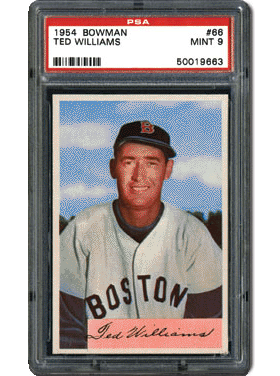 It contains some notable semi-rarities such as the Ted Williams card, which was allegedly pulled from production at some point. So, why has this set been overlooked by so many collectors? In the next article, we take an in-depth look at a set that may warrant your attention. New PSA Set Registry Software! By now most of you have experienced the brand new state-of-the-art version of the Registry! This latest version is completely mobile friendly. Now you can access your registry from virtually anywhere! All of the great features you have grown to love are still there, but navigation through the site is presented in such a way to make it easier to do on your mobile devices. If you have not yet seen the software, we encourage you to login to the Registry and take a peek. We think you’ll like what you see! Should you encounter any hiccups or have any questions, please feel free to contact us at [email protected]. As always, we welcome your feedback and continued support.